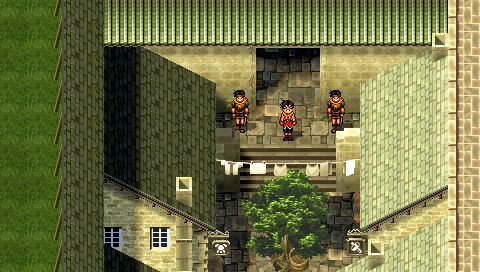 In 2006 the first two Suikoden games were ported to the Playstation Portable, but only released in Japan. They are 'enhanced' ports, meaning they are the same as the PS1 versions with some alterations. This guide will show you all known and verified differences. 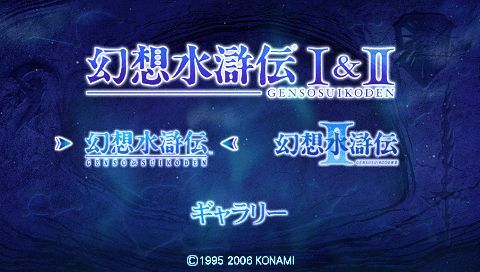 Port of the first two games for the Playstation Portable. 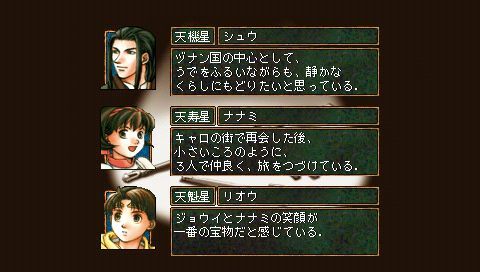 Tir and Riou are the first names of the main characters in novels released only in Japan. They're not given a first name in the game. We'll use the word 'enhancement' lightly here. These are the primary changes to the games. Where you pick which game you want to play. Third option is the Gallery. 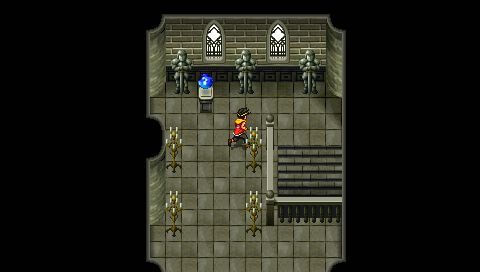 Rather than stretch the image, the game has been converted to widescreen to fit the PSP's screen. Ability to move diagonally, complete with new sprites. Watch the intro/CG movies, memorable scenes, endings and credits or listen to the soundtrack. The games run at about 1.5x the speed of the PS1 versions, meaning that movements and animations like unite attacks are faster. 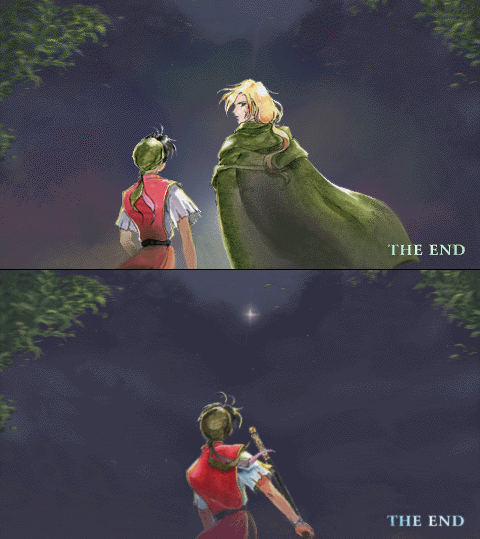 Suikoden I has different final images for the ending (variation depending on Gremio being alive or not) compared to the original PS1 release. 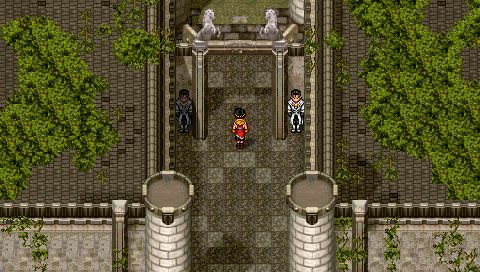 Note: These images are not newly created specifically for the PSP version, but were also used for the PC versions. The extra mode, most options are only available with a clear save from both games. 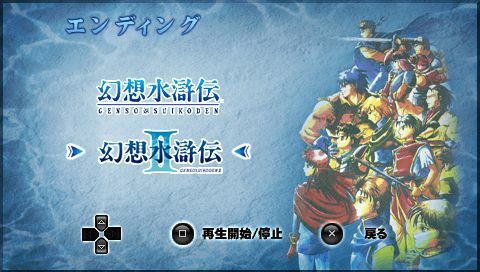 Create your own playlist from all the music of both Suikoden and Suikoden II. 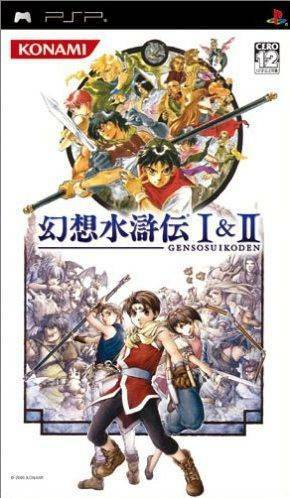 Watch the intro movies (original and Saturn version for Suikoden) and all CG movies from Suikoden II. Relive some memorable moments from the games. 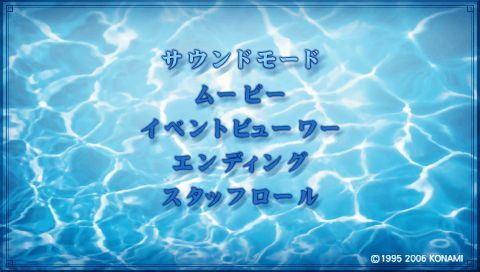 S2: Destruction of Ryube, The Rune of Beginning, Muse dungeon, Morning after escaping Muse, Looking for Shu's coin, Genkaku's story, the Fall of Greenhill, the death of Agares Blight, the defeat of Luca Blight, sacrificing Jillia, and Jowy's goodbye. Watch the 108 Stars of Destiny ending blurbs for both games. 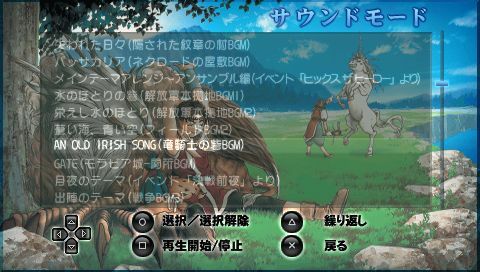 Watch the Credits list for either game. There are several issues with the game that are a result of how the game was ported. It can't really be described as anything but a poor job. The term 'China Quality' comes to mind since that's where the port was made. 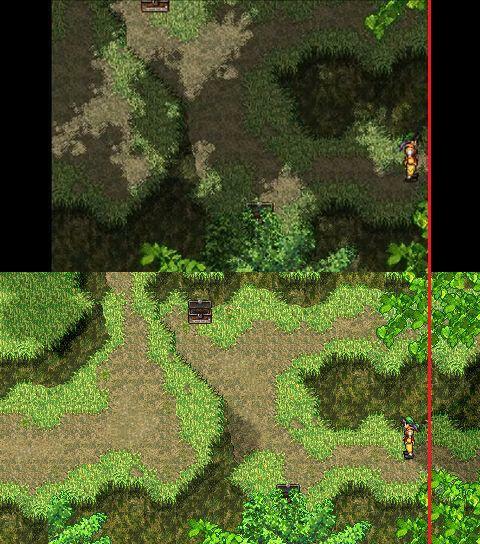 Since the original games were made before widescreen TV's were standard the aspect ratio doesn't fit the PSP's screen. Rather than stretch the screen Konami decided to expand the screens by drawing extra bits where neccessary. Unfortunatly these new bits can't be interacted with. The result is that rather than exit/enter screens at their edges like in the originals, you instead exit/enter them a centimeter or so from the edge. 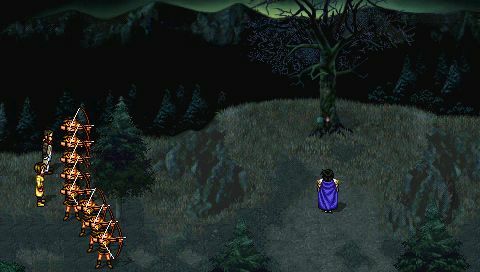 In other cases the widescreen can spoil story elements, such as the archers at Luca's defeat by revealing them from the beginning rather than scroll over to them at their reveal. Another more humorous effect of the newly drawn areas is North Window. Thanks to the diagonal movement it is now possible to catch up to Chaco in Two River since he still runs in straights. Unfortunatly you can't actually interact with him since the game was not designed for diagonal movement and as such can't recognize your advancement. Same goes for Lotte's cat, while it's now easy to catch up to it the game still won't let you interact with it till you can recruit Lotte. 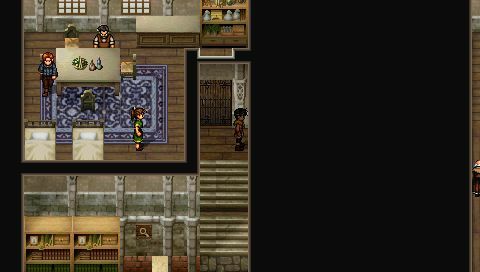 Suikoden I and II handles rooms and houses in a way so that they share maps. 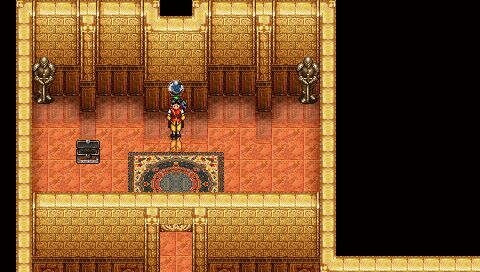 The rooms are seperated by a black space that's wide enough that you can't see the other rooms/houses, or rather, it should be. But since the games were originally made for non-widescreen TV's the black spaces aren't wide enough to account for the PSP's wider screen and Konami didn't feel like moving them. 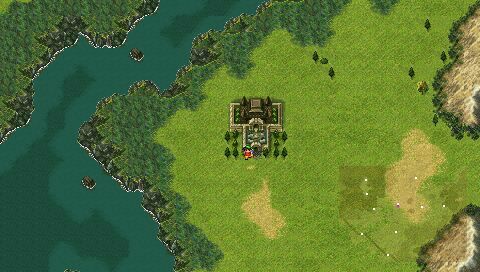 The result is that you can now see edges of rooms that you can't access from your current location. The game performs oddly when running off an UMD-disc, the game will pause for an instant when you're running, creating a stuttery appearance, the music can also stutter and entering new areas can take a while. These issues can be avoided by playing the digital PSN version (or, if you're one of those people, an iso). 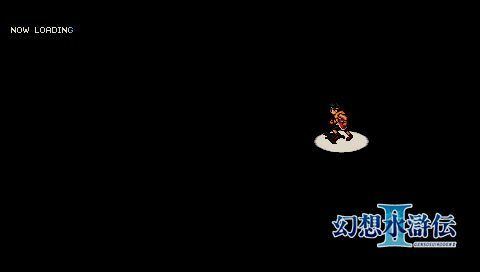 Due to the games being sped up from the originals the music will behave strangely in scenes that were originally timed to it, simply cutting off since the game runs faster than the music. 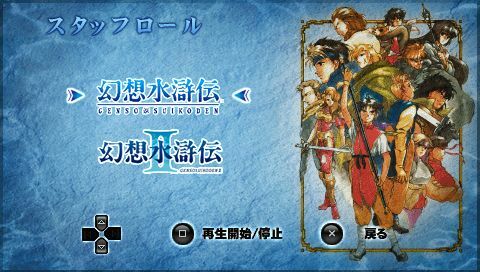 For example, the 108 Stars of Destiny ending roll is 10:30 minutes long in the original Suikoden II, due to the speed up the PSP version is only 6:30 minutes long (good luck actually trying to read the blurbs). The result is that rather than the music fading out like it's supposed to it just abruptly cuts to La Passione Commueve La Storia, which obviously doesn't have time to finish either since they were made for the 10 minute version. A crying shame on such a beautiful soundtrack that no one at Konami considered slowing the game down again for these scenes. The Matilda Gate has been fixed and can no longer be pushed out of the way to give you undue access to the Matilda domain. 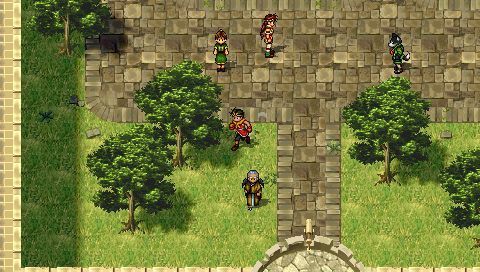 In the original PS1 version of Suikoden II it's possible to exploit a glitch with the Kindness Rune to get 999 ATK by going below 0 in Kindness rating as the game will count backwards from 999 instead of going into negative numbers. This has been fixed in the PSP version, though it's unknown if this is an intentional fix or a happy happenstance of the game being recompiled. 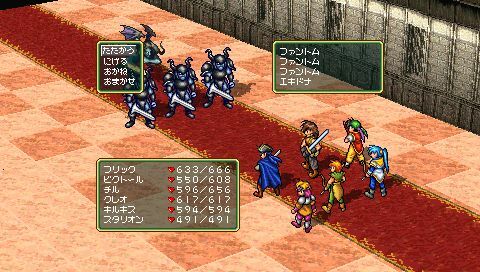 Normally characters gain experience relative to their own level, due to a bug in the PSP version they instead gain experience relative to the level of the first character in the row. Meaning that if a level 10 character is placed to the right of a level 60 character he will recieve experience points as if he was level 60 himself. The only workaround is to simply place your lowest level characters first in each row. To the best of our knowledge every bug from the PS1 versions is retained for the PSP versions, except the Matilda Gate and Kindness underflow ones.